Approximately 300 drink or drug drive offences were detected by police forces across Europe during a recent HGV and bus enforcement campaign – double the number in corresponding campaign in 2018. 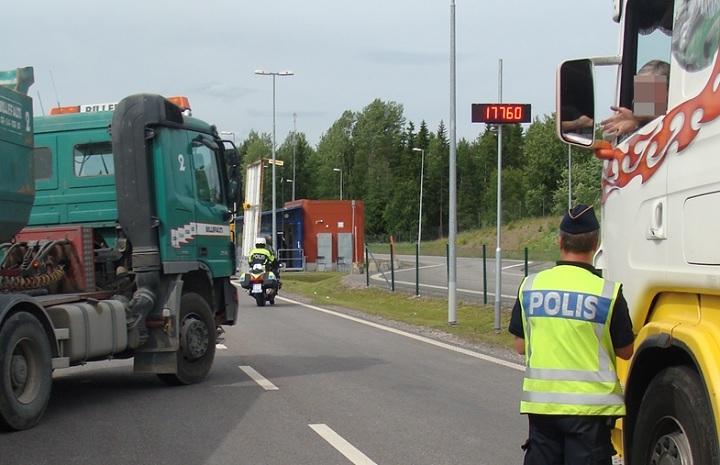 Between 19-24 February, checks of HGVs and coaches took place in 29 TISPOL member countries – including the UK – with the emphasis on ensuring drivers are ‘legally rested’ and their vehicles roadworthy. A total of 103,515 HGVs and 18,047 buses were checked, with more than 33,000 violations reported (HGVs: 30,014, buses: 3,371). While most of the offences were violations of drivers’ hours regulations, 212 alcohol and 86 drug offences were detected – nearly double the rate from 2018, when 80 alcohol and 35 drug-driving offences were recorded. The most common bus violations included non-wearing of seatbelts (22), excessive speed (18) and technical defects (eight). Volker Orben, a member of TISPOL’s executive committee, said: “European police officers have a very high standard of training in heavy traffic controls, which is reflected in the high complaint rate. “These results show that inspections in the area of ​​heavy goods traffic and passenger transport are still an important approach to improve traffic safety.